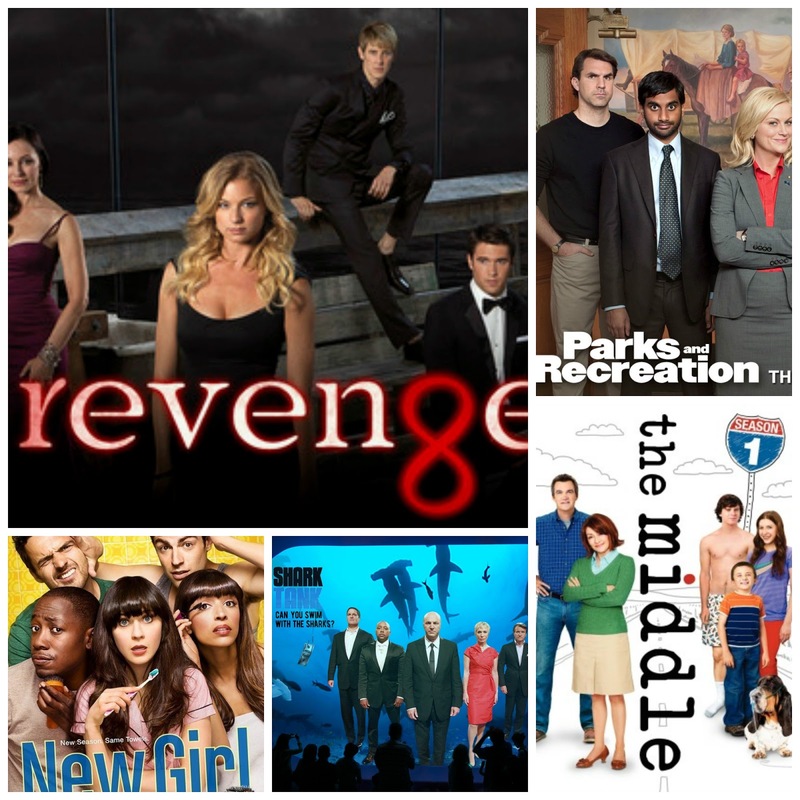 At Home with the Hinkleys: Fall TV I am looking forward to! I am so ready for fall TV to get here. 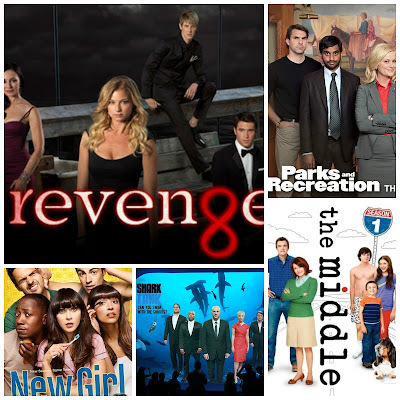 It never really feels like fall until they quit with all the summer re-runs, right? The TV connoisseur that I am, I have been looking at the line up and seeing if I need to get my TIVO prepared for the new shows coming out. Gotta be prepared, guys. 1. Revenge. Duh, I am obsessed. The story line is completely insane, but I just have to know what happens! 2. Parks and Rec. The lone wolf left behind by a stellar Thursday lineup that was. I have high hopes, but this is seriously the only good looking show for Thursdays from here on out. 3. The Middle. I love this family. Especially Sue, because she is me, lol. Looking forward to more laughs with these guys. Side note: what happened to Suburgatory?? I need that show back in my life too. 4. New Girl. Yay! This is starting tomorrow! I can't wait to see how the Nick and Jess romance goes, and all the shenanigans Schmidt gets into. This show is so much fun! 5. Shark Tank. These people are my heroes and I love them. Can't wait to see all the new proposals people have! I can't say I am excited about these, but moreso intrigued. I think they have a decent flop potential, but we will give them the ol' college try. 1. Super Fun Night. I have no idea what this show's premise is going to be, but I enjoy Rebel Wilson, so I will give it a shot. Outcasts trying to fit in is always a good time though, right? 2. Brooklyn 99. I had no intention of watching this show until I heard a review on the radio that said it was pretty funny. I like Andy Samburg and all, so we will see how it goes. 3. The Goldbergs. Because who doesn't love the 80's?? I was thisclose to booking an 80's cover band for our wedding reception, so I have a love for the decade. 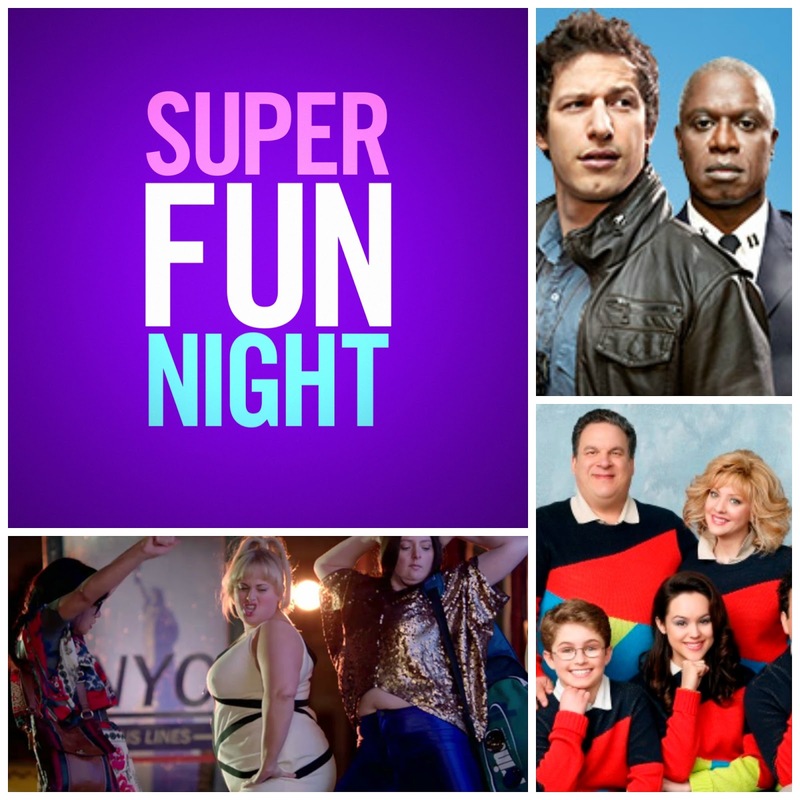 Plus I loved the Mom (Wendi McLendon-Covey) from Reno 911, so I am willing to give it a try. I actually have not followed any of the ones you named, but I am so excited for the new season of Vampire Diaries and The Voice! Sean and I have been watching Drunk History on Hulu. Hilarious! My husband is out of the country and specifically asked me to DVR Brooklyn 99 for him. Oops, I forgot but I'll do it when I get home today. I watch too much reality TV to even watch scripted shows. It's a problem. I'm excited for Vampire Diaries and Walking Dead! I am so excited for the Mindy Project to come back on! I hate how the season for these shows gets smaller and smaller every year. It seems like it takes longer for them to get started and then they're done before you know it. Anyway...I'll end that little rant. I'm SO behind on TV. As in, last season of New Girl is on the DVR and I still haven't watched it. I should look into Brooklyn 99 though. yea..nothing new this year intrigues me at ALL...but I do think that's a good thing because I watch enough tv as it is. Do you watch the mindy project?? It's really hilarious, I highly recommend you get started on that instead of any new show this year. We watched brooklyn 99 or whatever it's called and it was TERRRRRIBLE. what did you think?